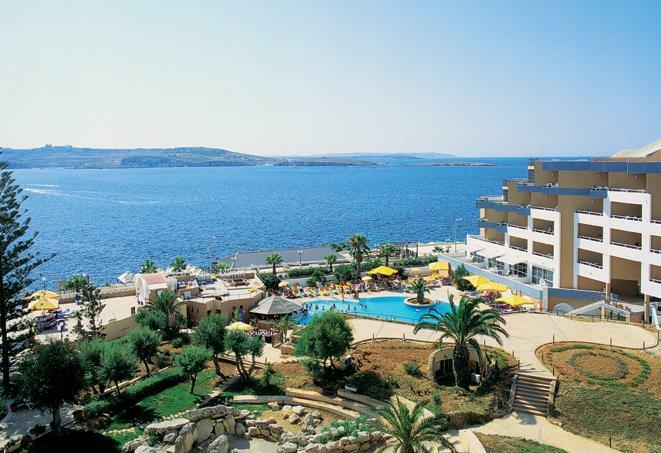 San Antonio Hotel & Spa Malta is located in the north of Malta in the centre of the lively resort of Qawra in St. Paul’s Bay. Swimming pool surrounded by palm trees facing the Mediterranean Sea. In summer, daily animation with various activities round the pool area and also during the evening at The Lobby Bar terrace overlooking the spectacular view of St.Paul’s Islands. In winter, daily evening entertainment, mostly consisting of live music, takes place at The Lobby Bar. 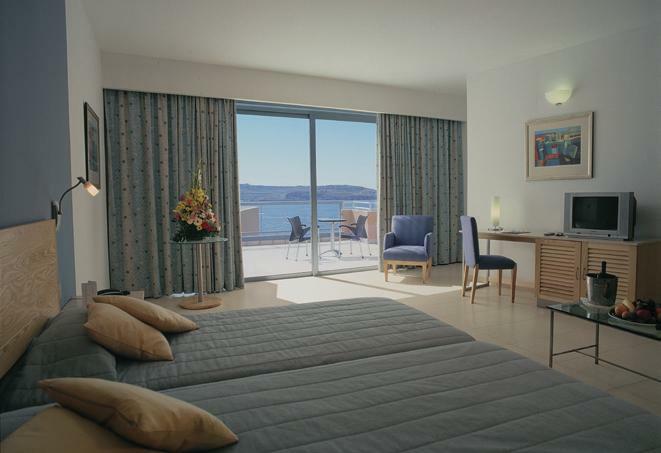 Beautifully located at the water’s edge 375 guest rooms and 38 newly built highly finished superior rooms and suites with panoramic views of the Mediterranean Sea and St. Paul’s Islands. 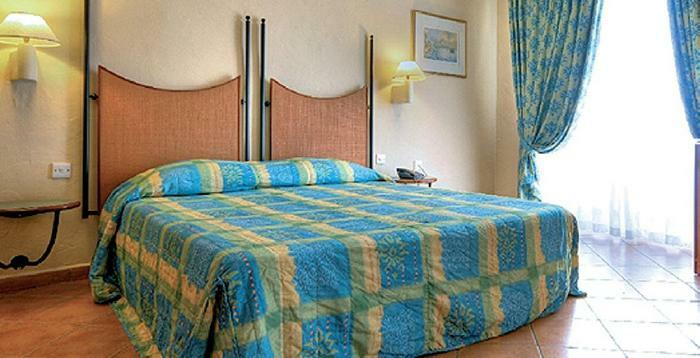 All bedrooms and suites are fully airconditioned, centrally heated, safe deposit box, satellite TV, direct dial telephone, radio, mini-bar and hair dryers. The majority of the rooms have a balcony or terrace. 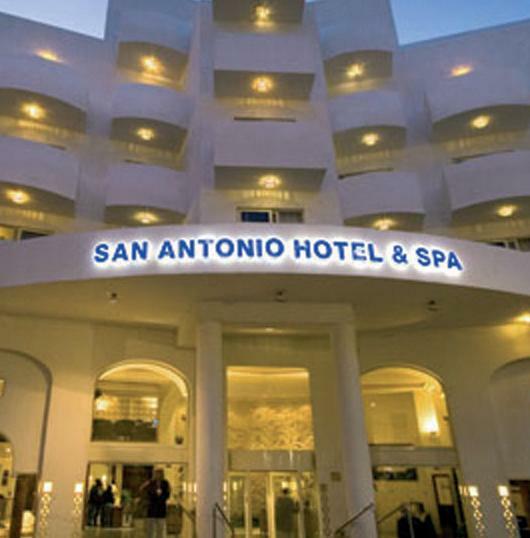 Hotel facilities: conference Centre, a Casino, an A La Carte Restaurant, Buffet Restaurant, Piano Cocktail Bar, Cafe (open 24hrs), Swim-Up Bar, Night Club and a Caribbean Style Beach Club offering a variety of water-sports, a Diving Centre, Bars and Restaurant. Note: Prices are subject to specific seats available at the time of booking.